February 1967 was a relatively quite month for the Upper Cut club, as we show in our monthly round-up of the Woodgrange Road venue's gig list, from 47 years ago. In terms of "names", the month kicked off with an appearance of the Rockin' Berries ("The sensational TV and recording group") on the 10th. They were a Birmingham-based band who had formed in the late 1950's. They took their name from the fact that their early sets were built around covers of Chuck Berry numbers. Their biggest hit was a version of Goffin and King's He's in Town, in 1964. From the late 60's onwards the group developed into a cabaret act, featuring some comedy routines, which have not stood the test of time too well. The band, after many changes in line-up, continues performing to this day on the club, corporate and nostalgia circuits - 50 years on from their peak of popularity. A week later, the Upper Cut featured The New Pirates, the backing group of Willesden boy, Johnny Kidd, who had been killed four months previously in a car crash in Lancashire. The group were struggling to find an identity and future, bereft of their iconic former leader. The following day, the Upper Cut hosted the Honeycombs, founded in 1963. This North London group, was best known for its singer drummer, Honey Lantree, who had been a hairdresser. Hence the name - geddit?? They had one million-selling hit - Have I the Right?, in 1964, after which they went into sharp decline. The group disbanded soon after their Upper Cut performance - but revived, with a different line up 37 years later (!) - in 2004, to cash in on the nostalgia circuit. Honeycombs: Have I the Right? 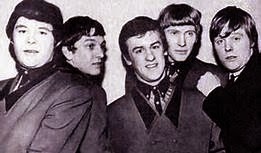 The band was originally managed by the controversial Joe Meek, who recorded their big hit in his Holloway Road flat. The biggest local interest at the Upper Cut, that February 47 years ago, however, was the appearance of David Essex (born David Albert Cook), son of an East end docker and an Irish Traveller mother. Essex was born in Plaistow in 1947, but moved to Canning Town when he was two. He attended Star Lane primary school, and signed on schoolboy terms with West Ham, as a youngster. His football days, however, were diverted by the music business, and he cut his first record, And the Tears Came Tumbling Down, as a 16-year old in 1963. He toured for a few years with his band Mood Indigo, who supported him on Woodgrange Road. Within three years of his Upper Cut gig he was beginning to make a name for himself in films, with appearances in Assault and All Coppers are ..., and hit the entertainment highlights in a big way with his starring stage performance in Godspell in 1971.
years after his Woodgrange Road gig. Two years later he starred in the film That'll be the Day and had a self penned hit single Rock On. This was soon followed by Gonna Make You a Star, a number one on both sides of the Atlantic. Essex had other big hits, including Hold Me Close, and appeared in Stardust. His pop idol good looks gave him a strong female fan base, where he lasted for a decade as a teen idol, being voted Britain's number one male vocalist in 1974. He went on to star in a number of West End musicals, including Tommy, and as Che in Evita. 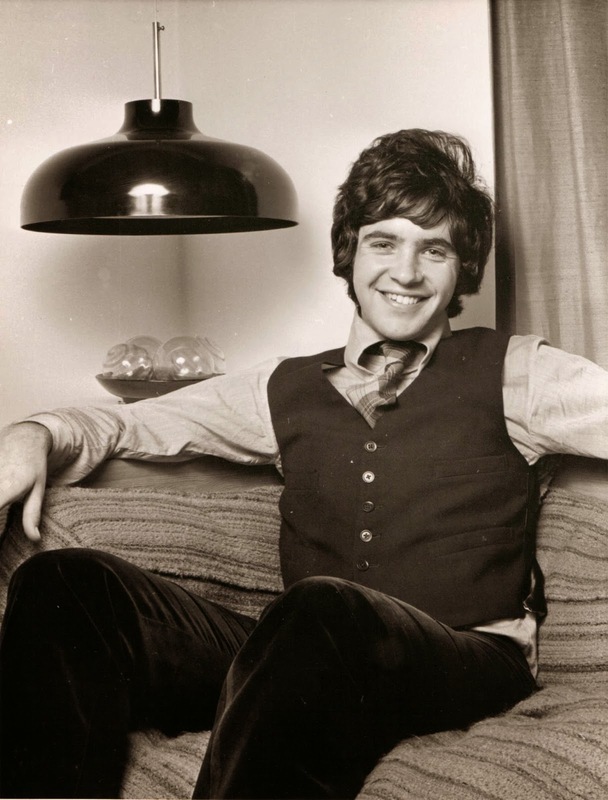 A keen motorcyclist, David Essex donated some advertising fees due to him in the 1970's to support the Triumph Motorcycle Workers' Co-operative. In the 1980's he co-wrote and starred in Mutiny, a musical based on the Mutiny on the Bounty, and little over a decade later was appointed Officer of the Order of the British Empire (OBE). He has been a life-long supporter of Travellers' rights, because of his heritage, and wrote the musical score for a film, The Traveller, in 2013, which is now available on DVD. For many, perhaps, his greatest claim to fame may be his four month appearance as Eddie Moon, in East Enders, in 2011. These posts were followed by almost monthy updates on who played at the club, that month, 47 years previously. The final blog is a record of a recent meeting with former boxer, Billy Walker, the name under whom the club exisited, on his memories of it and Forest Gate almost half a century ago. Although the content, and some of the comments on the individual posts, is pretty definitive, we'd love to hear any memories readers may have of the gigs, or corrections they could make to the copy. Just post in the Comments box, below.